choice as we make our way through spring and the days grow warmer. glue for the sliced almonds. Crush the sliced almonds slightly for a refined look and dip slices of lemon in sugar for a sweet and sour garnish. No one has to know how simple this perfect party dessert was to make. 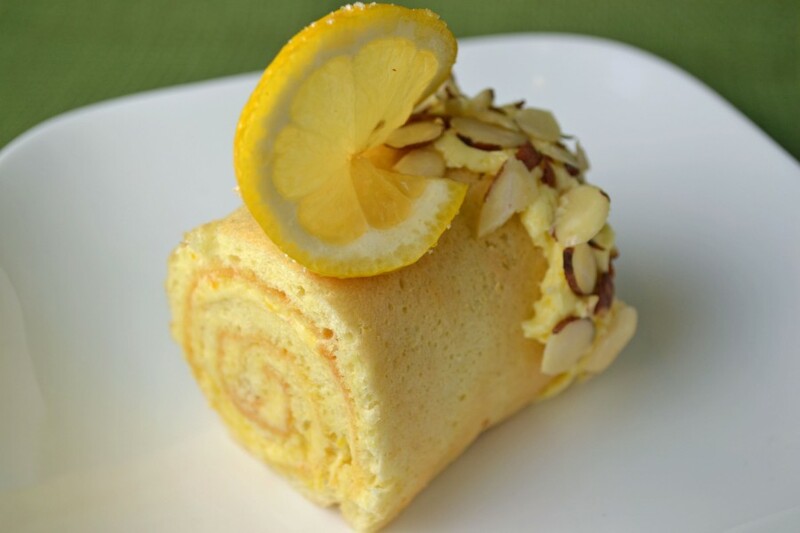 Cut sponge roll in half to make 2 long rectangles. Spread each thinly with lemon buttercream. Roll up jelly-roll style, making 2 long, thin rolls. Trim ends. Cut into 2-inch lengths. Spread the ends of each roll with the remaining buttercream. Dip ends into almonds. Dust with vanilla confectioners sugar, if using. Note: Vanilla Sugar can be made by burying 3 or 4 vanilla beans in a canister containing 1 lb of granulated sugar or confectioners sugar. 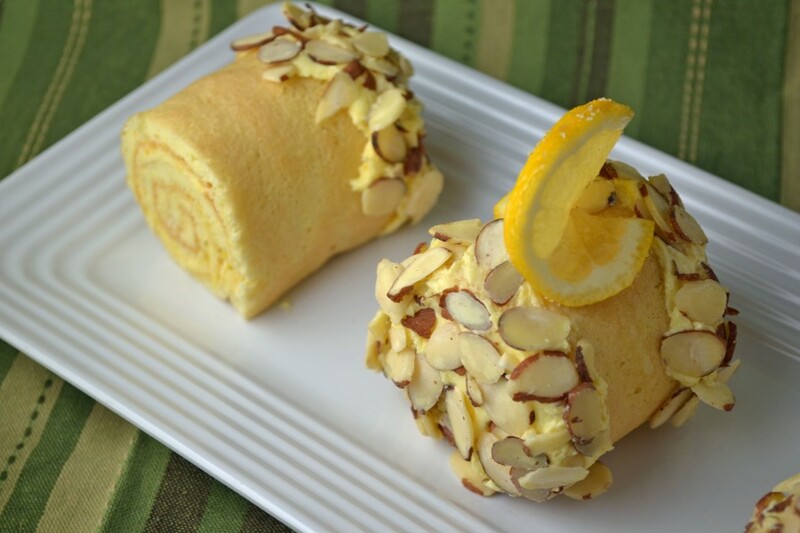 Do you roll the sponge cake up while still warm, to shape it, or let it cool completely while it is flat? Do you cut it in half *lengthwise*, such that the two rectangles are each 16″ long by 5.5″ wide? Or is it the other way ’round– two rectangles that are each 11″ long and 8″ wide? Sorry for my delayed reply – I somehow missed your comment. Allow the sponge cake to cool completely while flat. You’ll see that it is still very flexible once cooled. The rectangles should be cut so that each one is 11″ x 8″ wide (the other way ’round as you said).